I received my Hangrr garments, but I think I might need some minor alterations. We put in a lot of love and hard work in making your products. Mostly, the fit is great, but sometimes something can go wrong. Maybe the measurements went wrong, maybe the type of fit understanding went wrong. We can totally understand. But be rest assured each garment goes through a rigorous quality control and check process. It passes multiple stages of fit testing via our patent pending AI platform that has revolutionized the way custom clothing fits. But each person's viewpoint and feeling of the garment may differ. 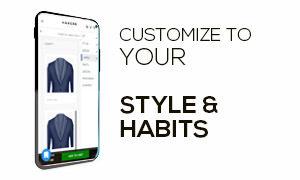 This is the reason why we provide an additional alteration policy over and above our already amazing prices and offerings compared to any other custom clothier online. Your garment is tailor made and has an ample room for alterations in Hip, Waist, Sleeves, and Chest. It is quite common in the custom clothing industry to get your garments altered locally. Achieving a 100% fit in the first go might not be possible and hence our customers see alterations more as a process and less of a hassle as it helps in achieving a right expectation for the even the most minute details. Our customers appreciate our sincerity and keep coming back to us because unlike other luxury brands, we have kept our pricing completely frill free and we believe in building trust by doing great work repeatedly. Can I send you the garments for alterations? How can I get my garments altered locall? If you would like to fine tune, you can easily consult your local alterations shop and to adjust the charges use our alterations credit. You can also write to us so that one of our Stylists can provide you with an objective second opinion of how your garment fits. You will receive a personal attention from our stylist who will make suggestions on how to best improve the fit of your clothes. What are the alterations possible in my garment? All the garments are individually cut and tailor made and have ample of room for alterations. You can get your sleeves altered up to 1.5 inches. Chest, hips, and waist can be altered up to 2 inches each. Trousers can easily be adjusted in length up to 2 inches. If you are opting for a Half Canvas construction upgrade, please understand that the 'Doctors Cuffs'/ 'Openable Buttonholes', sleeves cannot be altered and hence we encourage the customers to be sure while giving your sleeve measurements. What is the alteration credit that you provide? Unlike other luxury brands, we do not overcharge! Period. Roughly, you automatically save to a tune of $200 per suit with Hangrr. If you think about it, that should be enough to cover any custom duties / alterations. We are still happy to provide alterations credit up to 10% of the total purchased invoice value as our commitment to provide you the best services possible. So, for example, if you have bought a Custom Suit for $300 (excluding shipping), you are eligible to receive an alterations credit of up to $30. We encourage customers to avail alterations credit only in the case where they genuinely require alterations and not in the case of measurement error. Alterations credit is disbursed on a case-to-case basis and is available within 30 days of receiving your custom made product. How do I avail my alteration credit? In order to avail alterations credit, you will need to scan the alterations receipt and email it to us to qualify for the credit. We will process the credit in the form of our store credit and adjust your measurement profile so that in the future your garments can fit perfectly. Alterations credit can also be used as a Gift Card. To request a gift card, please send us an email at care@hangrr.com and we will send you or your recipient a 'Gift Card' on your behalf. Gift Cards are fully redeemable at our Store anytime within 1 Year of your purchase. What about alterations in ready to wear sizes? What if the product can't be altered? Would you remake? At Hangrr, every product is individually cut and hand-made by an experienced tailor. In our experiences, the chances of remakes are a rarity because we pay a lot of attention in making the garment as per the supplied measurements. Each garment is automated via our core engine technology and all the garments follow a rigorous Quality Check process before we ship them from our factory. Unlike other luxury brands, we manufacture our own products, check them by ourselves and ship them by our own. Hence 100% efficiency and no chances of negligence or shipping you a wrong product either. In the rare case, where there has been a production error from our end, we will offer a full remake, no questions asked. What is a production error? Any change in the garment that is not related to the changes in measurement supplied is a production error. We hope you understand that if the measurements supplied our wrong, there is very little that we can do. However, in the situation where a remake is necessary, please follow the following guidelines. Firstly, in order to qualify for a remake, you can send us an email at care@hangrr.com within 30 days of receiving the product. Only once we agree to it and your request does not violate our terms of contract, you can ship back the product to us using the cheapest local postal/shipping service. Please keep the value to ‘USD 1’ and mention on the product ‘Returned Garments’. Returned product should be in an unworn and unaltered condition. Product design cannot be changed for the returned garment. Hangrr, reserves all rights to judgement of the requirement of a return. What is your return / remake policy? Well, we live to make you happy. In an unlikely event that you face any problem with your order, we would do our level best to make it to solve it for you asap. For all custom products returns are based on the following points. a) If you receive a different product to what you had ordered. When ordering online, slight differences in shade of a product are possible. All fits follow standard AQL norms and might vary by industry acceptable 1/2 inch differences. Other than this, in an event a totally wrong product reaches you for any reason, we will replace it for no extra cost. Guarantee! b) If your fit is not perfect? Ans: Again, you are covered. Please read our Alterations Policy for the same. c) My order was placed by mistake. I want to cancel my order. If you feel you have placed an order by mistake, please notify us no later than 12 hours as after that we will not be able to issue you a refund as the production process would have started. Please note, expedited orders cannot be cancelled. d) If you receive a defective product? Ans: We will not live with this sin! You shall bear no pain! At Hangrr, every product is 100% individually custom made and handmade according to the customer's design and size preferences. 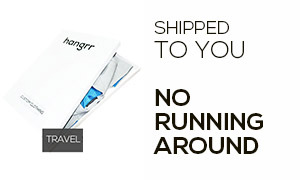 In the case of a production error, please send an email to care@hangrr.com. We will check the issue with our video & photo feeds of your product to verify any damages possible. If your request for return is accepted, the customer will be notified within 2 business days. We will then exchange your product for no extra cost. *No returns/ exchanges can be made for accessories & Gift cards. All sales are final. ** All customers are always covered with 180 Days free alterations & Free remakes on their first order in all cases to ensure hassle free, risk free shopping every single time!